The Marinault 220 Pilot House Cruiser is the first of the new models. After being acquired by Madison Bay Holdings Inc., Cape Dory Cruisers & Catamarans is introducing a new series of powerboats ranging from 22 to 36 feet in length. They will be produced in Sarasota, Fla., and the first models will be the Cape Dory Marinaut 220 Pilot House Cruiser and 25-foot designs. 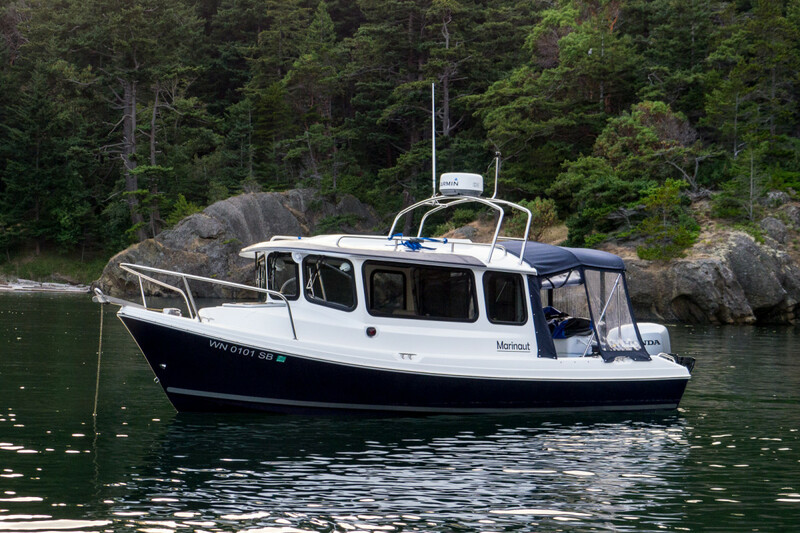 The trademark and assets of Cape Dory Cruisers were acquired by former shareholder MBH and the company plans to gradually phase each model into production as manufacturing facilities are expanded. Cape Dory was established in 1963 and the company will also produce Cape Dory Catamaran Luxury Yachts ranging from 42 to 75 feet. MBH has been a business development company for more than 35 years. Originally headquartered in Seattle, MBH is owned and operated by marine industry veteran Ricardo Ruelos. He was one of the original shareholders of O’Brien Water Sports and has worked with boat manufacturers including C-Dory Boats, Warlock Power Boats, Osprey, MasterCraft and Century Boats. Recently, Ruelos served as CEO of Westship.